The Tracks: You’ll find no sappy love songs here. This album is all about standing up to life’s challenges and embracing who you are. For some reason I can’t quite put my finger on, this whole album feels like a road trip. The existential kind that starts with self-discovery and ends with you feeling somewhat changed. The journey starts off with the fairly heavy and up-beat track, Car of Disorder. The first thing I noticed was Haruka’s guitar. Call me a traitor to my gender if you want, but I have to be honest. I did NOT expect what I heard. This track is cut through with hard-hitting riffs and clean solos that will give any dude a run for his money. This continues on into the second track, Raise Your Voice. This is the song that makes you want to put the top down and dance in the wind. It feels like freedom and breaking free from a society that would suppress your voice. The theme continues with the next track, Goodbye! My Office. This track tells the story of someone stuck somewhere they feel they don’t belong and how she broke free. Haruka’s voice raises in determination as she sings, “I can’t be one of those slaves of society/ So I’m leaving the place I tried to fit in/Pretending to be good—Goodbye!” Hometown continues with the subject of partings, only this one is the sadder kind. This is the ballad of the record and Haruka’s voice really shines, weaving through the track in a sweet but mournful melody as she tells about leaving a beloved place behind to return home. The tempo picks back up with No Codependence. I REALLY like this song. It starts off with a heavy-pop hook that gets your foot tapping immediately and shifts right into a head-bouncing chorus. The guitar line drops for a quick, hand-clapping vocal solo before picking back up and it’s pedal to the metal again. We keep it up-tempo with A Flower on the Desk, a song about the pressures of education. With lines like “We have made lots of efforts/We grew up cramming/But we still can’t even change a thing that we know is wrong,” she expresses a feeling of futility and frustration that comes from a society that puts so much emphasis on grades, that you don’t learn what’s important. Something I’m sure we can all relate to. Our trip ends with a song of glory. Organs announce The Sound More Silent than Silence [Gloria in Excelsis Deo], a sweet song that shows humility and reverence. It reminds us that everything happens for a reason and, no matter the challenges, it is all part of a higher plan. I have to say, it is a surprisingly passive end to a record that seems to be all about breaking free, but nonetheless, it suits it well, leaving us feeling thankful and loved. Overall, this record is a refreshing dose of positivity. It conveys a message of empowerment and touches subjects that, even though we live on the other side of the world and come from vastly different cultures, seem almost universal. 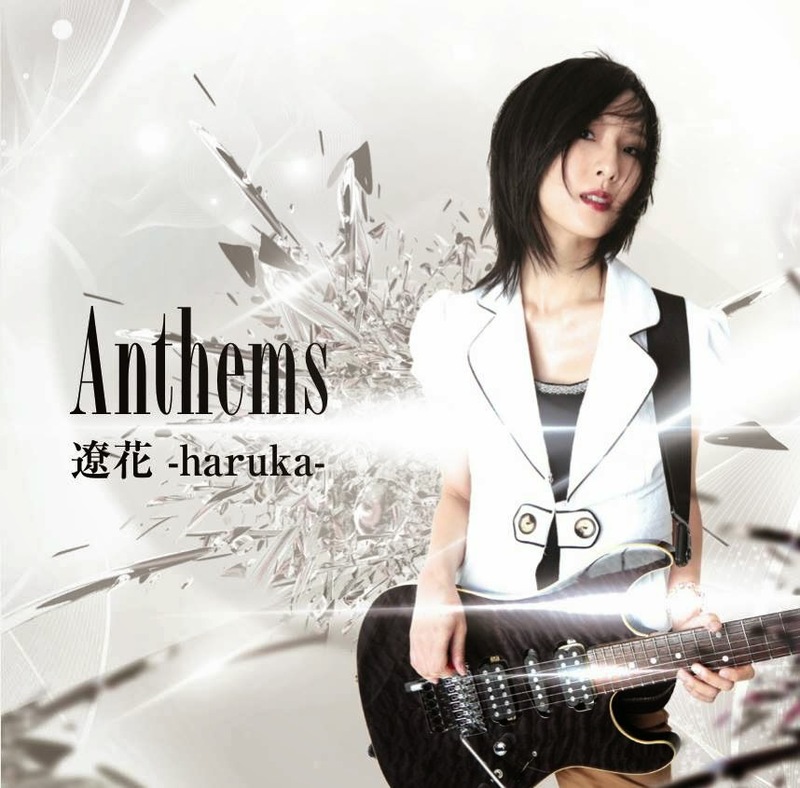 Haruka has truly written an album of Anthems that we can all sing proudly. Available on iTunes and AmazonMP3! ‹ Dan’s Pick “Royz”	› Support Us, Buy Our Merch, Get Even More J-Rock!